My plan was to drive to the cottage today to finally open it up but my husband made a deal with me and promised that we would go up together next week and stay for at least four days. 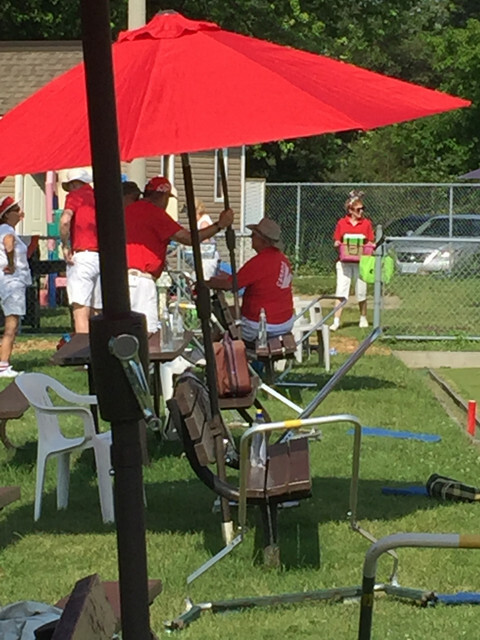 So instead of being stuck on the highway this long weekend I decided to attend the annual Canada Day BBQ at the Lawn Bowling Club. I’m glad I did. It’s a very short walk from my house to the club and as I got closer I could see that the place was already decked out in red and white. 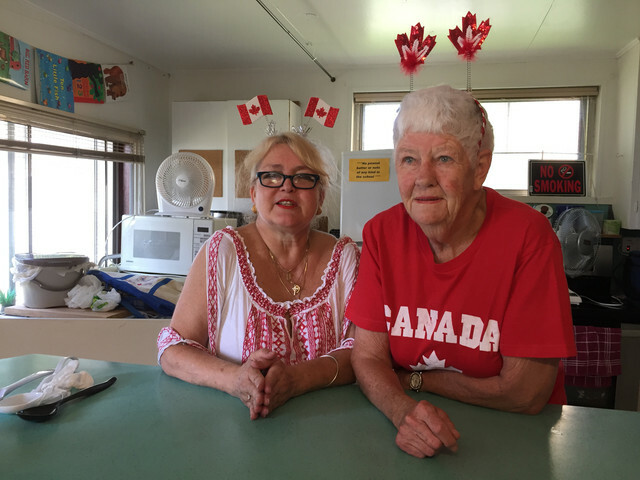 Canada Day is actually tomorrow but the club decided to host the festivities today. Even though I hadn’t signed up for the lunch because I thought I’d be away the organizers happily took my money and ensured me that there would be plenty of food. There were about 50 players today and we were divided into 16 teams of 3 players or more. The rules were a little different today and the four closest bowls to the jack were scored, 4,3,2 and 1. I love this group because everyone is so friendly and supportive. It’s my year playing but I’m quickly learning names and picking up lots of good tips each time I play. After everyone played we went inside and were treated to some delicious food. Hamburgers, sausages and hot dogs were cooked on the BBQ and the table was overflowing with salads, fruit, cheese and desserts, all donated by the members. Tickets were sold for a 50/50 draw and Gail who sat with me had to leave early so I held onto her tickets. Didn’t she win the whole thing. It was fun shouting out that I held the winning ticket but I made sure everyone knew it wasn’t mine. Before the festivities ended the top three scoring teams were announced and each member was given a small prize. My team came in third place and we each went home with $4.00. 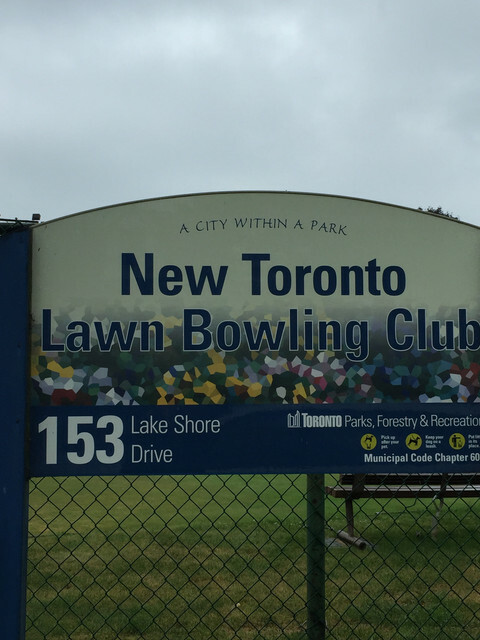 This entry was posted in About Me, Celebrations, Happiness File, In the Neighbourhood, Lake Ontario, Photography, Toronto and tagged BBQ, Canada Day, heatwave, lawn bowling, lunch, New Toronto Lawn Bowling Club, photography, prizes, Toronto, tournament by Mama Cormier. Bookmark the permalink. Happy Canada Day from your sweltering friend in the USA! Thanks Ann. Hope your 4th of July is not quite so hot.